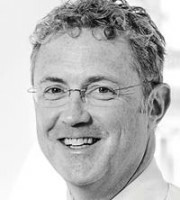 Ian Kirby leads the dispute resolution team at Carpmaels & Ransford LLP and focuses on multi-jurisdictional patent litigation and IP disputes. His clients and peers highlight his tenacity, excellence and shrewdness, but above all his ability to manage and get the most out of a team. Mr Kirby has 25 years’ experience in litigating and resolving cases before the English IP courts – including the Intellectual Property Enterprise Court – as well as the English appeal courts. He frequently advises on matters that cross both the Atlantic and into continental Europe and is at his happiest when faced with tricky and knotty commercial problems. As well as litigating disputes in all areas of IP law, Mr Kirby is a strong user and supporter of alternative dispute resolution and is a member of the World Intellectual Property Organisation List of Mediators. He is known for his pragmatic approach to the management, resolution and handling of disputes. He also believes greatly in teamwork and has strong relationships with his litigation colleagues as well as with specialist external IP barristers. Mr Kirby has litigated high-profile trademark cases concerning the design of the famous HENRY vacuum cleaner, where he protected the shape of the cleaner stripped of all other indicia, as well as magazine and book cases, Europe-wide product launches for branded technology and pharmaceutical products, and globally famous copyright cases for the world’s largest publisher. His trademark and passing off cases have pushed the edges of the law and, as a result, he has acquired the trust of companies such as The Walt Disney Company, GlaxoSmithKline, Orange, Norgine, Numatic (the makers of HENRY), Penguin Random House and the Estate of Michael Jackson.